Recently, the Federal Circuit affirmed a judgment finding patent claims asserted by the patent owner, Interval Licensing, failed to recite patent-eligible subject matter under 35 U.S.C. § 101. See Interval Licensing LLC v. AOL, Inc. (Fed. Cir. July 20, 2018) (Before Taranto, Plager, and Chen, J.) (Opinion for the court, Chen, J.) (Concurrence-in part, Dissent-in part, Plager, J.). The patent related to an “attention manager” for a “display device,” which could make use of “unused capacity” by showing content in unused portions of the display. The “attention manager” could display secondary content in an area not covered with primary content, or when the “display device” was turned on, but not actively engaged by a user (e.g. a computer wallpaper). The Federal Circuit affirmed the district court’s judgment. Under Alice step one, the Court noted that the claims were directed to “providing information to a person without interfering with the person’s primary activity,” which is an abstract idea. This idea was longstanding in society, exemplified by a breaking news ticker across the bottom of a television screen or passing a note to someone in a meeting. The Court further found that the “attention manager” encompassed a patent-ineligible abstract concept because it “demand[ed] the production of [the] desired result” of solving problems related to displaying information in “multitasking operation systems,” but did not explain how the result was achieved or place “any limitation on how to produce that result” beyond the use of general computer functions. The Court proceeded to an analysis under Alice step two and found that the claims did not transform their abstract idea into a patent-eligible application. The claims did not recite an inventive method for how secondary information would be displayed on a device, “such as what portion of the screen is utilized or how the primary activity on the screen is monitored”. Additionally, the claims were so broad that they “encompass[ed] the basic concept of displaying two sets of information.” Therefore, the claims were directed to abstract, patent-ineligible subject matter. Judge Plager went on to state that the “abstract idea” definition, “when used for denying a claimed invention’s patent eligibility . . . cannot thus function as a rule of law.” He proffered that rules of law should predict how courts will decide future cases, but that the “abstract idea” standard, much like the law of obscenity, is based on an “I’ll know it when I see it” approach that is difficult to both predict in future cases and review on appeal. A patent claim is directed to an abstract idea when the claim is centered on a result or the solution to a problem without explaining how the result is achieved or the problem is solved except by using general computer technology. The doctrine used in this discussed case is the main reason for failure to sponsor one single research project on how to cure diseases by using the mind. The justices might think that everyone can use an abstract idea like a born skill. No incentive is necessary to promote research activities in this area. Medicine can only label all chronic diseases as incurable. Humans can never achieve theoretical lifespans. When this absurd doctrine is applied to computer art, it will have a huge impact on research and development in computer art. A massive number of research and business projects will be suspended and canceled. A large number of future projects will not be funded. Iancu’s comments regarding tribunal review ring eeery in the face of this decision. 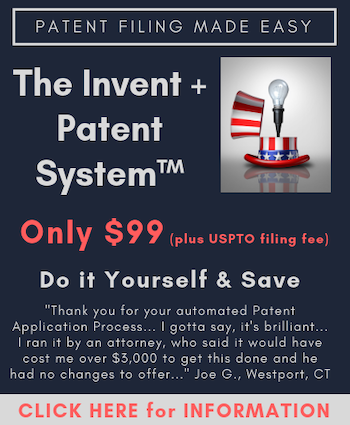 If there is “there is ‘little consensus’ among judges regarding whether a patent case has claims directed to an abstract idea, and if so if there is an ‘inventive concept’ sufficient to save the claims.”, this is it time for the USPTO to stop examining for compliance with 101? You feeling OK ? 11 dimensions ? Surely you mean neurons rather than neutrons. Actually I think the real reason research into curing diseases like glaucoma by brain training don’t get funded is because serious scientists tend to ridicule the idea (with good reason), and not because of any deficit of the patent system. Also, I don’t know of any other jurisdictions where such ideas are patent eligible. I do not see how that would help. All that THAT would do would leave a wide open blank canvas (blank check?) to the judicial branch to paint on (draw against?). Instead, the Office SHOULD exam in compliance with 101 – but in compliance with how 101 is actually written by Congress, and should – as a matter of course in its examination – affirmatively state that examination could not provide the necessary factual predicate, based on the proper evidentiary requirements that claims – as a whole, in “either” or “or” or “both” individual elements or as ordered combinations rise above conventionality (which is to say, rise above the HIGHER hurdle than either lack of novelty or unobviousness to the required level of widespread adoption). IF THAT is on the record from the USPTO as a matter of course of examination, THEN the challenge to that aspect would need to rise to a clear and convincing level. And THAT is something even the courts may have to take pause with. Let me also add that the executive branch lacks Constitutional authority to write law through the mechanism of common law evolution. Yes, I have been adamant that Congress removed that very same ability in regards to 35 USC 101 in the Act of 1952. But THIS goes even a step beyond that. The Supreme Court may attempt to “get away with” ignoring what Congress has done, and may attempt to use a power that it may otherwise have. But the Executive Branch has no part whatsoever of that power. The Executive Branch may NOT “apply” the “Alice/Mayo” two-step IF that two-step is an application of common law law writing. (about a month ago or so I had found the CAFC decision describing the application of the “Alice/Mayo” analysis AS being common law law writing). With a proper understanding of the difference between enforcing law and writing law, the administrative agency of the USPTO , as a part of the Executive branch entrusted with enforcing laws (not writing them or deciding what they mean) MUST abide by standards such as the APA and must provide full examination of factual predicates. They MUST attempt these findings and they MUST grant patents if their attempt does not provide the legal – the proper legal – reason not to. Taranto the new medieval Pope telling us that the Sun revolves around the Earth. Facts: information processing requires energy, time, and space. Information processing is what our brains do. Information is what Taranto is paid to do as a circuit judge. The conservation of information is the most important law in physics. Methods/machines for information processing should be per se eligible for a patent. There is no such thing as “per se” eligible. What does exist – and what should be the norm of examination – is a straightforward application of 35 USC 101 as written by Congress (without any “Void for Vagueness”, separation of powers issue, present case or controversy and not future “May” projection issue, nonsense from the Judicial Branch). 1) does the innovation fall into at least one of the statutory categories (See Chakrabarty)? 2) does the innovation provide utility within the Useful Arts? Those are the ONLY things that should be answered when one is examining under 35 USC 101. You make an excellent point. I have found only one examiner in the business method area (or any other area) that consistently provides a reason for why a claim meets the requirements for 101 in said examiner’s notices of allowance after a prior 101 rejection. I think that if the office required that of all allowances after a 101 rejection, then that would strengthen any patent that issued. There is an open comment period for the Berkheimer memo that closes August 20. Comments must be sent to eligibility2018 at uspto dot gov. Perhaps this would be a good forum to make the point.